Do your sports children complain about being bullied, teased, or intimidated by coaches? “Some of it was outright verbal, mental, emotional abuse. And a lot of times the coach would say, ‘I do this because I want you to get better or I am being hard on you because I care,'” she said. She described how hard it was to convince her son’s school’s administration to take action on the bullying, and how frustrated she feels. But this mom isn’t giving up—and either should you! No matter how well-intended coaches may be, they still can fall into the behavior that was common when they grew up, namely the “tough love” coaching style. In this situation, it is best to realize that the coach may be doing what he or she thinks is best for your sports kid, but you still must take action to stop the bullying! While it was once common for coaches to be viewed as taskmasters, rather than bullies, sports psychology has furthered our knowledge of how this can hurt players, especially at a young age. Just as a good coach can keep a sports kids’ interest in sports alive, bully coaches who use harsh words and negativity will undermine kids’ interest in sports. When your children are bullied, they are likely to think there is something wrong with them. They will feel uncomfortable playing and will have a hard time figuring out where to focus their attention. Essentially, they will play in fear. 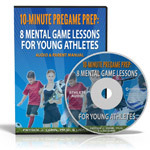 This is a time in your sports children’s lives where the intention should be to have as much fun as possible and build confidence for the future. When you’ve decided that you are dealing with a bully coach, you need to act quickly. 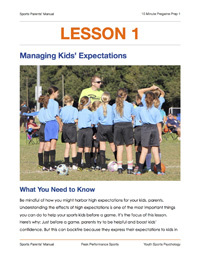 You should first talk to the coach to try to communicate your concerns, framing the concerns as worrying about your child’s self-confidence as opposed to telling the coach he is a bad coach or a bully. If the coach does not listen or change how he is treating your child, it is best that you consider moving your child to a different team or talking to a league or school administrator about the coach. Stay Confident in The Face of Bullies! 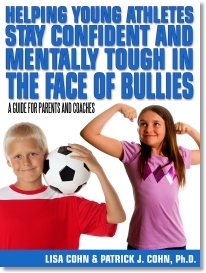 Want to learn how to help your young athletes stay confident when faced with bullies? Check out our program called, “Helping young athletes stay confident and mentally tough in the face of bullies”, where coaches, parents, and athletes will learn how to deal with and overcome bullying in sports. Parents will learn: Why athletes and coaches bully, how much bullies hurt sports kids’ performance and enjoyment in sports, why kids often drop out when they’re bullied, powerful, proven sports psychology tips for ensuring sports kids remain confident and mentally tough in the face of bullying, how kids can stay focused when bullies strike, how kids can refocus when approached by bullies, and many more! Athletes will learn: Why bullies act the way they do in sports, what mental game issues make kids susceptible to being bullied in sports, how to stay focused when they’re distracted by bullies, how to keep their confidence when intimidated, harassed, and insulted by bullies, how to avoid making comparisons when bullies point out weaknesses, and many more!